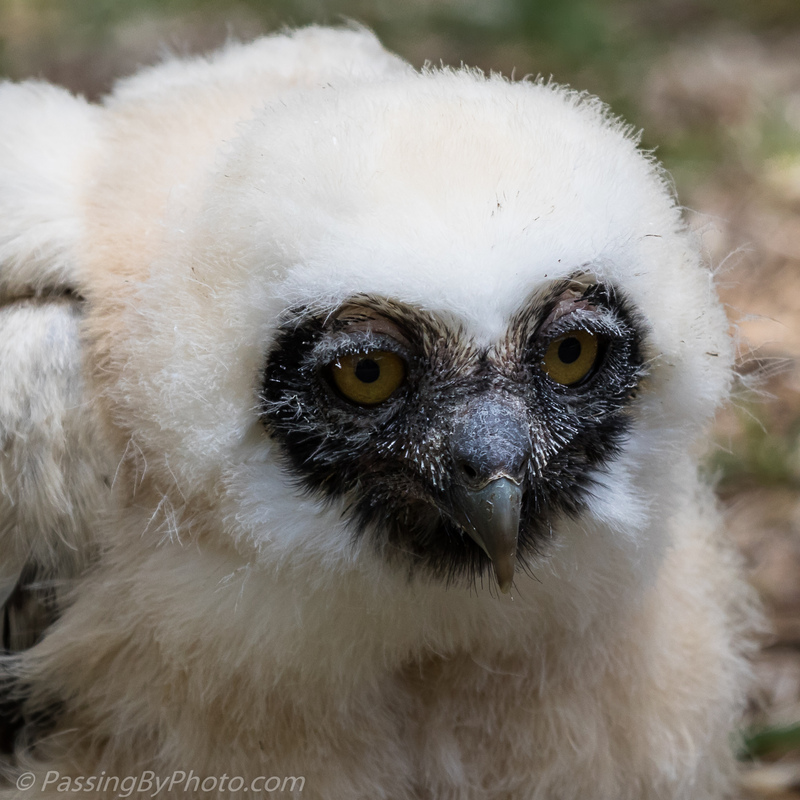 The Center for Birds of Prey has an active breeding program. The chicks they raise are used in educational programs here and also are swapped to other similar facilities around the US. 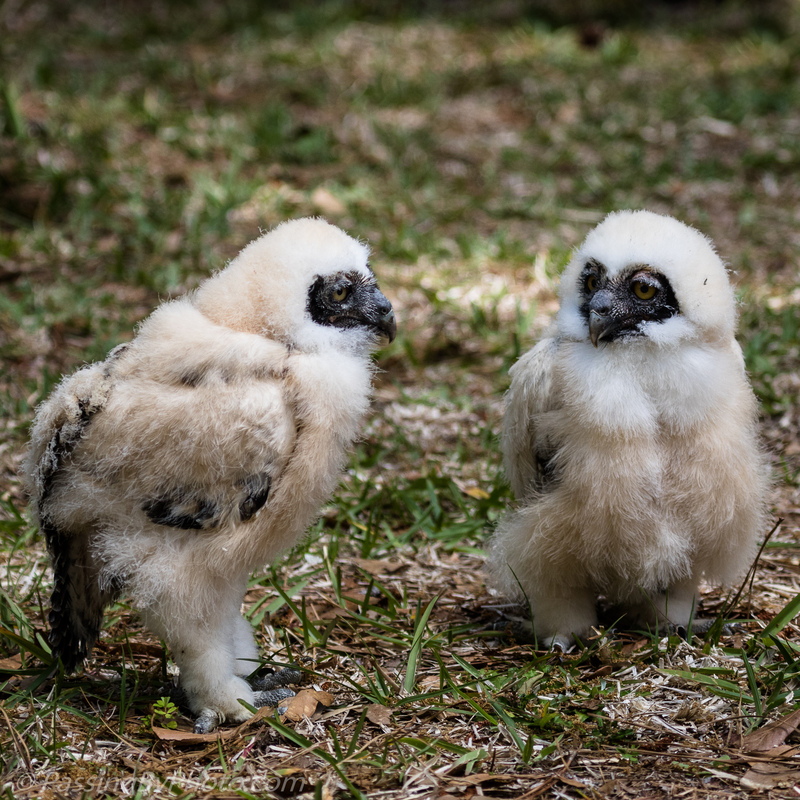 These cuties were not on the schedule for our Photography Day, but conditions were good for these two Spectacled Owl chicks to come out and strut their stuff. Well, mostly they just sat; they could walk and did a little wing flapping. I neglected to note how old they are, somewhere in the few week range. Ooooh – they look so cute and cuddly and fluffy! Aren’t they sweet? 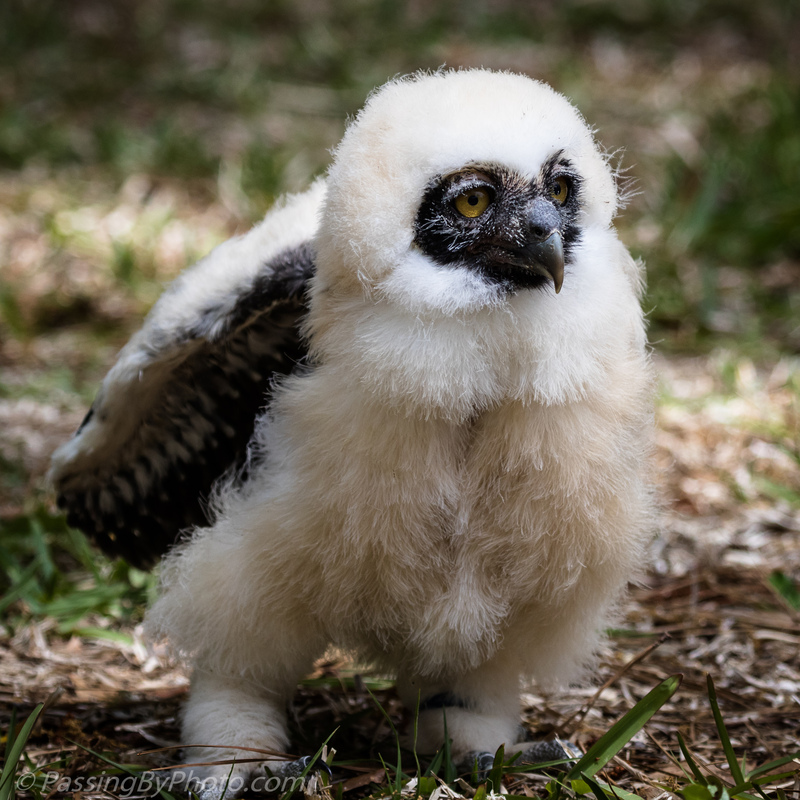 They were incredibly cute, much more than lots of the “ugly” chicks we see. Very nice, Ellen. A lot of owls here at the moment; in fact, I’m in the process of carving at owl sitting in a tree hole. Thanks, Michael. That’s neat–carving from wood?